Lars Graudal, of the Department of Geosciences and Natural Resource Management at the University of Copenhagen, has been appointed as Science Domain Leader for the Tree Diversification, Domestication and Delivery research section at the World Agroforestry Centre in Nairobi, Kenya. The World Centre for Agroforestry – also known by its acronym, ICRAF – is a part of CGIAR, a global partnership that unites a collection of leading agricultural research organisations. Together, these organisations work to alleviate poverty by improving agriculture. 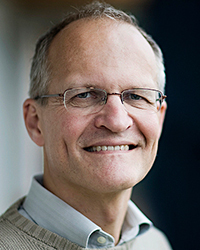 Lars Graudal is a consultant and head of research in the Tropical Trees and Landscapes Research Group at UCPH’s Department of Geosciences and Natural Resource Management. For the next two years, he will alternate between workplaces in Nairobi and Copenhagen. In Nairobi, Graudal will act as Science Domain Leader for ICRAF’s area of research that deals with agroforestry tree management, known as ‘Tree Diversity, Domestication and Delivery’. This ‘science domain’ includes species and seed source selection, the development of seed sources and seed types, as well as the supply of good planting materials for small-scale farmers. Among Lars Graudal’s other primary assignments, he will also be responsible for generating projects and securing funding for them. ICRAF is based in Nairobi, Kenya and has six regional offices – in Cameroon, India, Indonesia, Kenya, China, and Peru; and the organization works within a range of research areas, including the improvement of seed sources and types. Find out more about World Agroforestry Centre.